- Framed by the crescent moon, this mermaid welcomes you to her underwater realm. 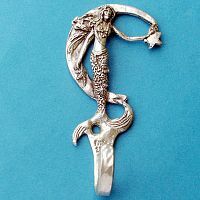 Approximately 3 3/4" x 2". 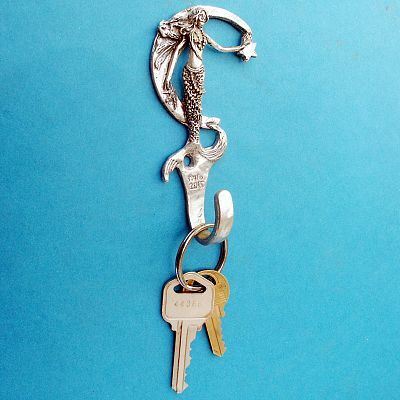 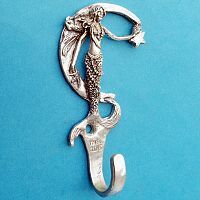 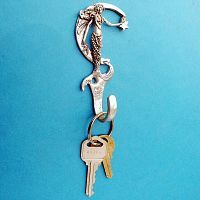 Do you have any other questions about our Mermaid Wall Hook?